What is a risk management committee? Risk management committees are a way for organizations to take a proactive approach to safety. Many non-profit and community-based organizations use a risk management or safety committee to help minimize hazardous issues within their organizations. This committee typically meets monthly or quarterly to address safety concerns and procedures. They may review past accidents or incidents and brainstorm ideas for keeping employees and customers safe. Who should be on the committee? Managers of different departments should be involved in safety committees, as well as any director in charge of risk management. It may also be helpful for a small number of employees from all levels to be involved in a safety committee on a voluntary basis; this can help the organization as a whole accept any changes made by the committee. If the organization has a board, it may be useful to have one or two board members on the risk management committee. Occasionally, the committee may want to ask police officers, insurance representatives, or fire officials to sit in on their meetings and offer suggestions. What does a risk management committee do? The main goal of a risk management committee is to reduce the frequency and severity of accidents at the organization, both to employees and to patrons. The committee can also help hold the board and staff accountable for the safety of the organization and strengthen the organization’s ability to offer safe programs. In addition, they can improve the organization’s crisis response and emergency action planning. Develop emergency action plans and conduct emergency drills throughout the facility. Conduct inspections of the premises for dangerous conditions or activities. Train new employees on safety procedures. Create a procedure for employees and patrons to report areas or activities that are unsafe. Ensure the facility is equipped with safety equipment and first aid kits as needed. Review all accidents/incidents at the organization and make changes to prevent future accidents. What’s the best way to review accidents? If not already in place, develop an incident report form for employee injuries and one for injuries to patrons. 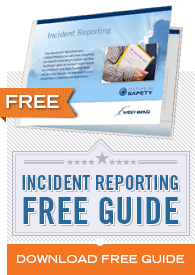 Check out our ebook on incident reporting to get started. Once these are in place, implement a procedure for tracking and sorting the reports. Create categories for injuries/accidents, such as slip, medical condition, struck by object, etc. These will be unique to each organization. It may also be helpful to sort employee injuries by department. If the organization is large enough, sorting patron/member injuries by location can be useful as well. After creating categories, at each meeting the safety committee can sort each incident that’s occurred since the last meeting. By doing this, the committee will be able to identify trends and patterns. This can be very useful for preventing future accidents. The committee may notice that one area of the organization seems more dangerous than others or that accidents spike at a certain time every year. The only way to gain this extremely valuable information is through sorting and categorizing all incidents.